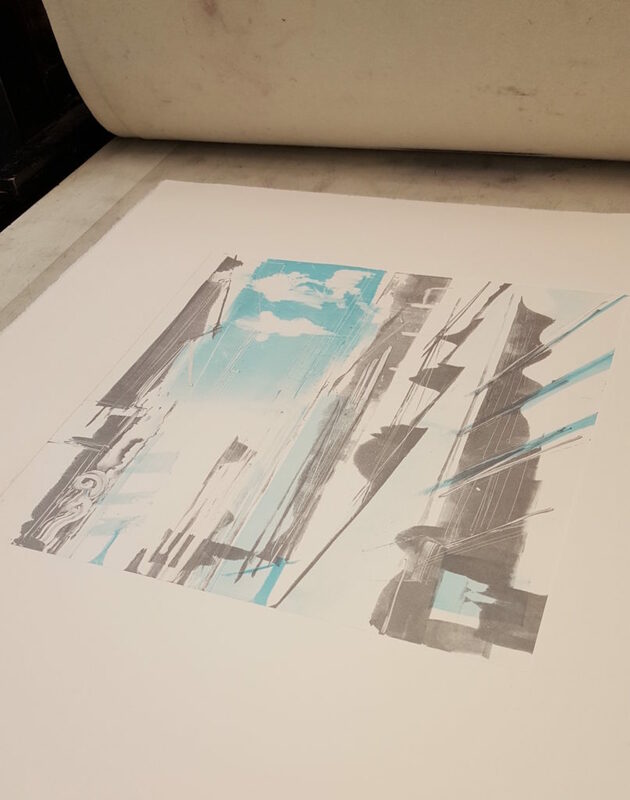 Inspired by the architecture and energy of New York, painter-printmaker Clare Grossman has created a beautifully captivating collection of work celebrating the iconic city. ‘New York Suite’ is a visual skit on the notion of a musical suite: a series of compositions, played in succession. 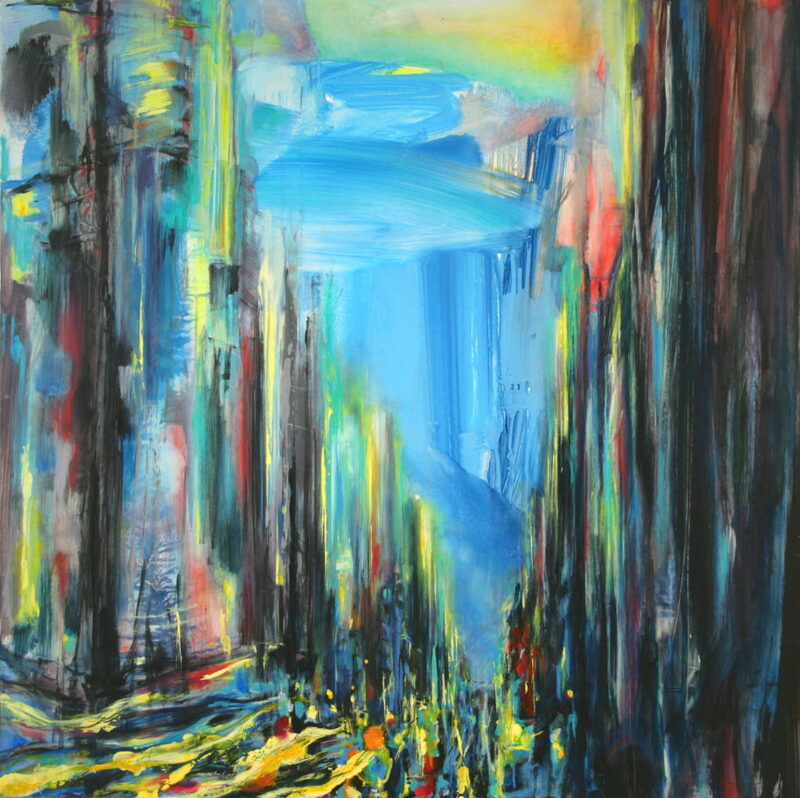 All are inspired by New York, but each has its own emphasis – on a moment; a time of day; the shifting light, mood and palette of an ever-changing city. Each piece captures the artist’s varied responses and memories. The exhibition is made up of oil paintings on board and monotype etchings – prints derived from the same drypoint etching plate, but layered with a range of monoprinting techniques. This means that each print is effectively unique. “New York as a city inspires me,” says Clare. “It’s a fast city, much faster than London. People walk fast, talk fast, serve you even faster. Traffic whizzes by, with blurred yellow taxi cabs everywhere. There’s steam on the streets, traffic lights appear suspended in the air, the energy on street level is frenetic. “But when you look up, the buildings dwarf you, they reach for the skies, their glass windows reflect back the clouds and the sky above. They optically melt into one another. Everything seems calm and serene. Clare’s works variously capture the pastel soft light of early morning, the shadows gathering and stretching during the course of the day, and the twilight hours when the artificial lights take over in an intense palette of vibrant yellows, oranges and reds against the blue backdrop of the sky. 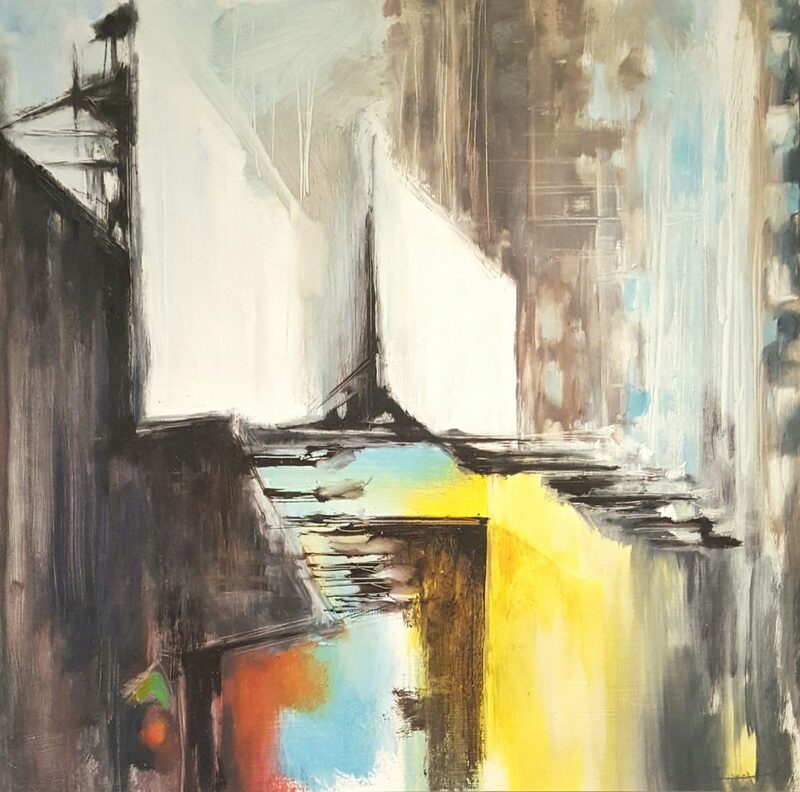 Beginning from sketches and studies she reworks a view for days, weeks or months at a time “until I find a composition that explains for me the ‘essence of place’ and my emotional response to it”. Her printmaking technique borrows from her painting style: “I’m most interested in using printmaking in a similar way to painting. I am often focussed on achieving ‘one off’ individual prints using painterly techniques that can’t be mimicked for an entire edition. Clare, who has a Masters in Fine Printmaking from Camberwell School of Art, lives in north London and prints from her studio in Childs Hill, Barnet. “It’s a purpose-built space, which was already in the garden when we moved into our home,” she explains. “The studio is crammed full of art books, hundreds of paintbrushes in jam jars, white washed walls and a large window facing north – which is ideal for artists. It means that there are never any shadows being cast over the artwork, so I never have to move around the studio to escape the shadows! 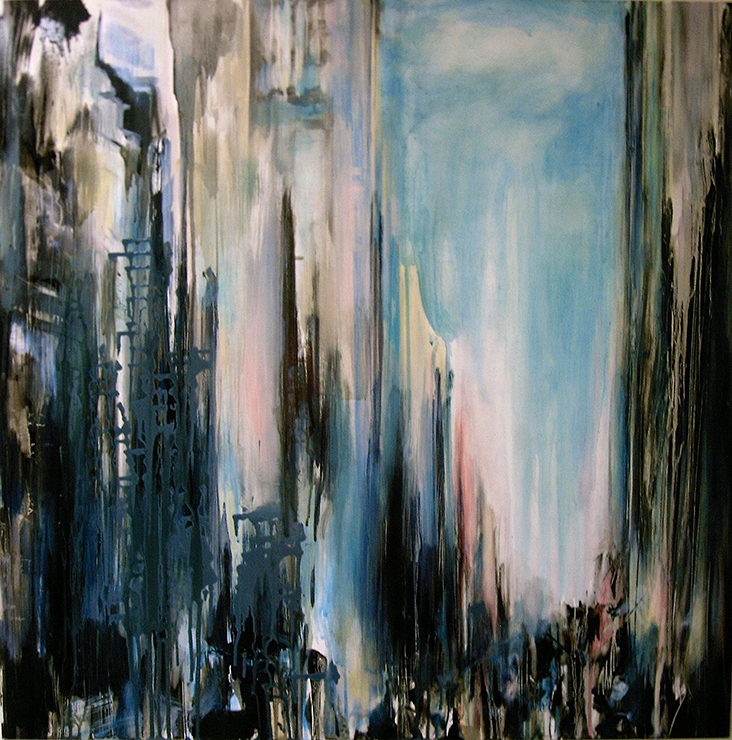 ‘New York Suite’ will feature more than 25 artworks, and will run until January 5. Clare will also be hosting a ‘Meet the Artist’ afternoon on Saturday 8 December, when she will be bringing in her etching plates and sketches. 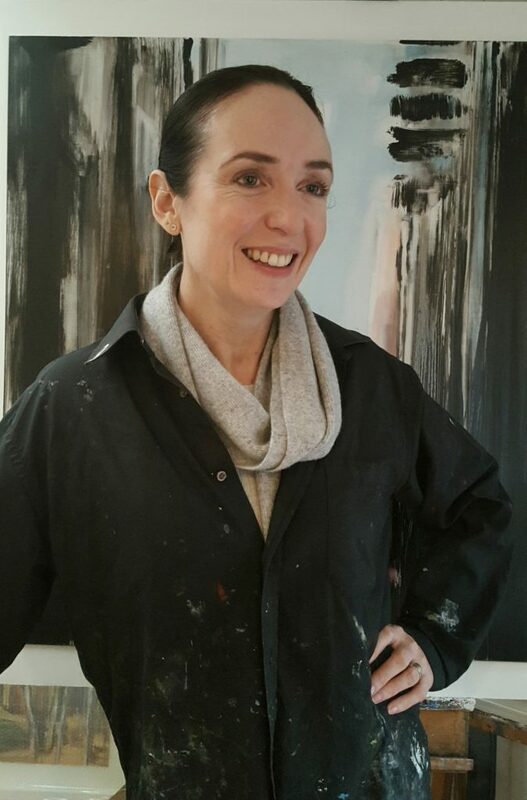 Visitors can enjoy a mulled wine or two, some mince pies, a look at the techniques and inspirations behind her works and an early viewing of this incredible suite of works. 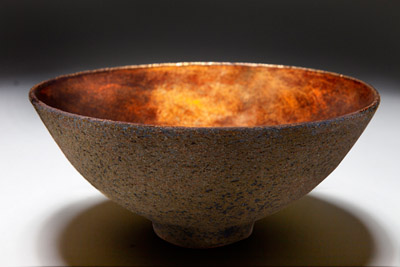 Also on show alongside Clare’s artworks will be ceramics from Sotis Filippides (pictured, below). 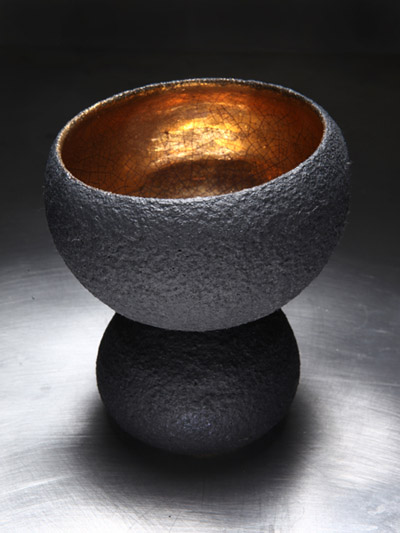 His tactile pieces – hand thrown bowls, bases, pots – are fashioned in dark, earthy shades, using copper and iron oxide glazes, and inspired by childhood summers spent in the family home beside the sea in Greece. “The shapes and colours of pebbles and shells, and the textures of the rocks and driftwood left a deep imprint in my memory,” he recalls. 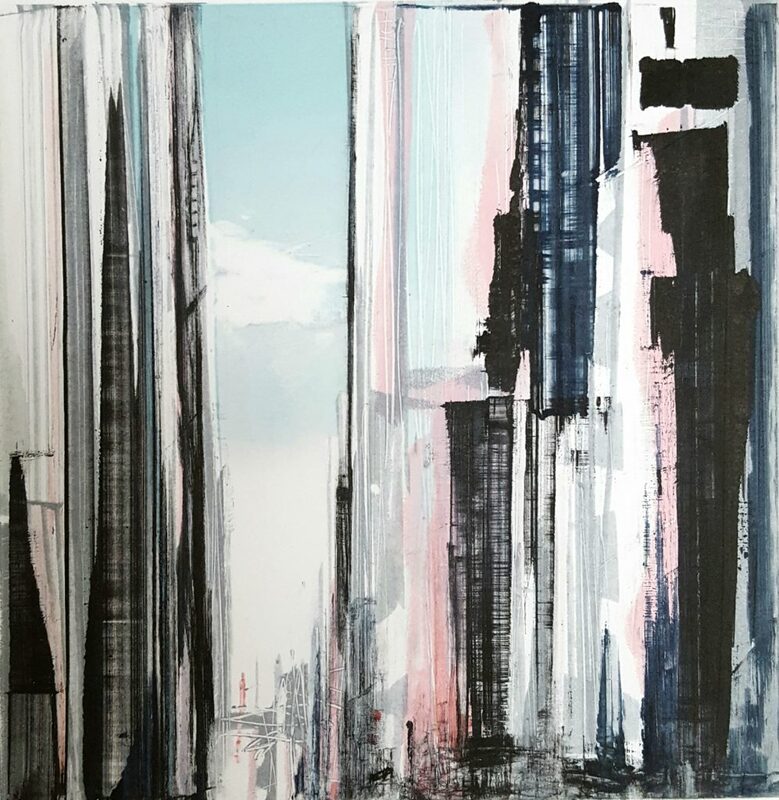 Clare Grossman, ‘The New York Suite’, November 29 – January 5, ‘(Meet the Artist, Saturday 8 December, 1-5pm), free entry, 45 Bond Street, Ealing, W5 5AS, Mon-Fri (Wednesdays closed), 10am-5.30pm, Sat 10am-6pm, Sun 12-5pm.